Raul Castro’s coming handover of Cuba’s presidency is an effort to prolong beyond his own life span the communist revolution he built with late brother Fidel. Trying to modernize could also destroy it, though. And with neighbor Venezuela getting less able to provide cheap oil, economic reform can’t wait. 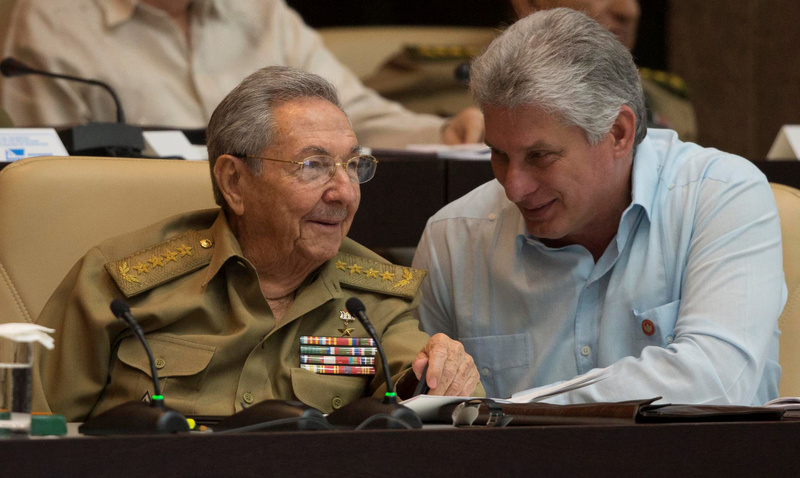 Cuba's President Raul Castro (L) chats with Cuba's Vice President Miguel Diaz-Canel react during the National Assembly in Havana, Cuba, July 8, 2016. Raul Castro, 86, will step down as Cuba's president during an April 18-19 session of the communist-ruled island's national assembly. Castro took over as president from his late elder brother and fellow revolutionary leader Fidel Castro 10 years ago, and has served two five-year terms. Officials on April 18 formally proposed First Vice President Miguel Diaz-Canel, 57, to succeed Castro, who will remain head of the Communist Party, the Caribbean country's only political party. Diaz-Canel was not yet born when the Castro brothers' revolutionary forces overthrew U.S.-backed strongman Fulgencio Batista in 1959.